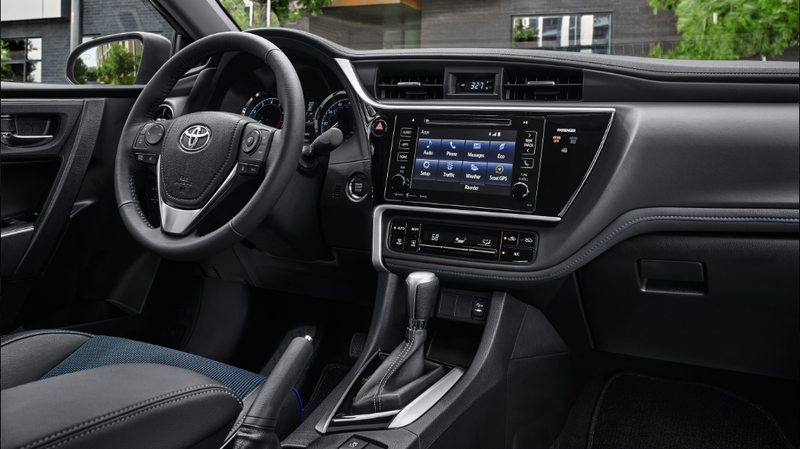 Besides an impressive exterior, the 2019 Corolla also features a number of available safety features designed to help you protect your most important cargo. Toyota Safety Sense P, with its pre-collision system with pedestrian detection, lane departure alert with steering assist, and dynamic radar cruise control help to prevent accidents before they happen. Combining these with other features, such as the 8 airbags, brake assist, Smart Stop technology, and hill start assist control help to provide additional safety. If you are looking for a 2019 Corolla near Daphne, Mobile, or Fairhope – come by and see Palmer’s Toyota Superstore. We’re proud to be your Corolla dealer, at 470 Schillinger Road South, Mobile, AL 36695. You can also give our sales team a call at 351-639-0800. Our professional sales team is ready to help you locate your perfect Toyota sedan, truck or SUV. 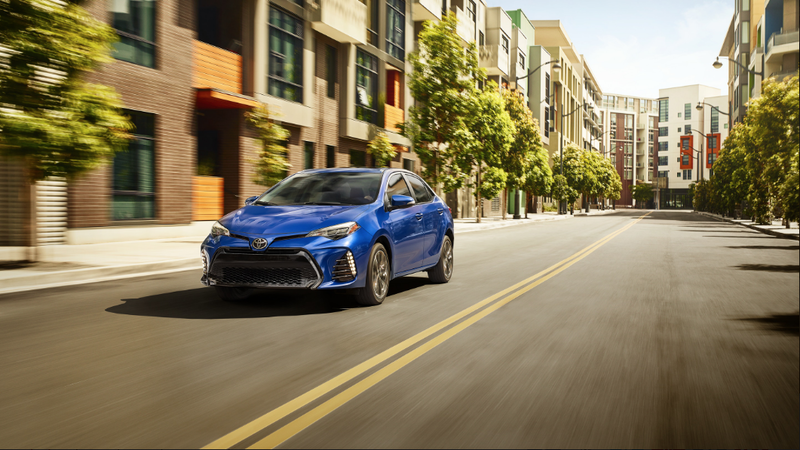 You can also view our 2019 Corolla inventory online anytime. 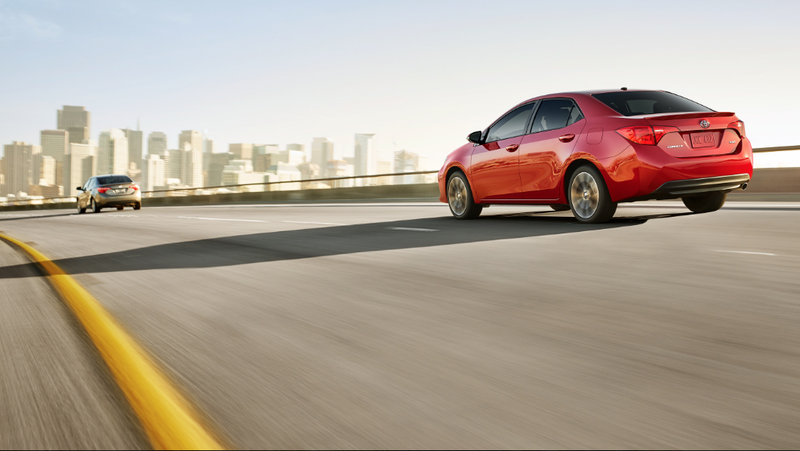 1.MSRP excludes the Delivery, Processing, and Handling Fee of $920 for Corolla. (Historically, vehicle manufacturers and distributors have charged a separate fee for processing, handling and delivering vehicles to dealerships. Toyota’s charge for these services is called the “Delivery, Processing and Handling Fee” and is based on the value of the processing, handling and delivery services Toyota provides as well as Toyota’s overall pricing structure. Toyota may make a profit on the Delivery, Processing and Handling Fee.) Excludes taxes, license, title and available or regionally required equipment. The Delivery, Processing and Handling Fee in AL, AR, FL, GA, LA, MS, NC, OK, SC and TX will be higher. The published prices do not apply to Puerto Rico and the U.S. Virgin Islands. Actual dealer price will vary. 2.2018 EPA-estimated city/highway mileage. Actual mileage will vary. 3.Drivers are responsible for their own safe driving. Always pay attention to your surroundings and drive safely. System effectiveness is dependent on many factors including road, weather and vehicle conditions. See Owner’s Manual for additional limitations and details. 4.Some vehicles are shown with available equipment. Seatbelts should be worn at all times. Please do not allow passengers to ride in the cargo area. For details on vehicle specifications, standard features and available equipment in your area, contact your Toyota dealer. A vehicle with particular equipment may not be available at the dealership. Ask your Toyota dealer to help locate a specifically equipped vehicle. 5.Dynamic Radar Cruise Control is designed to assist the driver and is not a substitute for safe and attentive driving practices. System effectiveness is dependent on road, weather and traffic conditions. See Owner’s Manual for additional limitations and details. 6.The TSS Pre-Collision System is designed to help avoid to reduce the crash speed and damage in certain frontal collisions only. It is not a substitute for safe and attentive driving. System effectiveness is dependent on road, weather and vehicle conditions. See Owner’s Manual for additional limitations and details. 7.Lane Departure Alert with Steering Assist is designed to read visible lane markers under certain conditions. It provides a visual and audible alert, and slight steering force when lane departure is detected. It is not a collision-avoidance system or a substitute for safe and attentive driving. Effectiveness is dependent on many factors including road, weather and vehicle conditions. See Owner’s Manual for additional limitations and details. 8.The Pedestrian Detection system is designed to detect a pedestrian ahead of the vehicle, determine if impact is imminent and help reduce impact speed. It is not a substitute for safe and attentive driving. System effectiveness depends on many factors, such as speed, size and position of pedestrians, and weather, light and road conditions. See Owner’s Manual for additional limitations and details. 9.Be sure to obey traffic regulations and maintain awareness of road and traffic conditions at all times. Apps/services vary by phone/carrier; functionality depends on many factors. Select aps up large amounts of data; you are responsible for charges. Apps and services subject to change. Availability and accuracy of the information provided by Scout GPS Link is dependent upon many factors. Use common sense when relying on information provided. Services and programming subject to change. Services not available in every city or roadway. See toyota.com/entune for details. Scout is a registered trademark of Telenav, Inc.
10.Smart Stop Technology operates only in the event of certain simultaneous brake and accelerator pedal applications. When engaged, the system will reduce power to help the brakes bring the vehicle to a stop. Factors including speed, road conditions and driver input can all impact stopping distance. Smart Stop Technology is not a substitute for safe and attentive driving and does not guarantee instant stopping. Please see your Owner’s Manual for further details. 11.The Smart Key System may interfere with some pacemakers or cardiac defibrillators. If you have one of these medical devices, please talk to your doctor to see if you should deactivate this system. 12.Always drive safely, obey traffic laws and focus on the road while driving. Siri is available on select iPhone/iPad models and requires Internet access. Siri is not available in all languages or all areas and features vary by area. Some Siri functionality and commands are not accessible in the vehicle. Data charges may apply. See apple.com and phone carrier for details. Siri is a registered trademark of Apple Inc.
14.HaC is designed to help minimize backward rolling on steep ascents. It is not a substitute for safe driving judgement and practices. Factors include grade, surface conditions and driver input can all affect whether HAC will be effective in preventing a loss of control. Please see your Owner’s Manual for further details. 15.The backup camera does not provide a comprehensive view of the rear area of the vehicle. You should also look around outside your vehicle and use your mirrors to confirm rearward clearance. Environmental conditions may limit effectiveness and view may become obscured. See Owner’s Manual for additional limitations and details. 16.The Bluetooth word mark and logos are registered trademarks owned by Bluetooth SIG, Inc., and any use of such marks by Toyota is under license. A compatible Bluetooth-enabled phone must first be paired. Phone performance depends on software, coverage and carrier. 17.Brake Assist is designed to help the driver take full advantage of the benefits of ABS. It is not a substitute for safe driving practices. Braking effectiveness also depends on proper vehicle maintenance, and tire and road conditions. See Owner’s Manual for additional limitations and details.